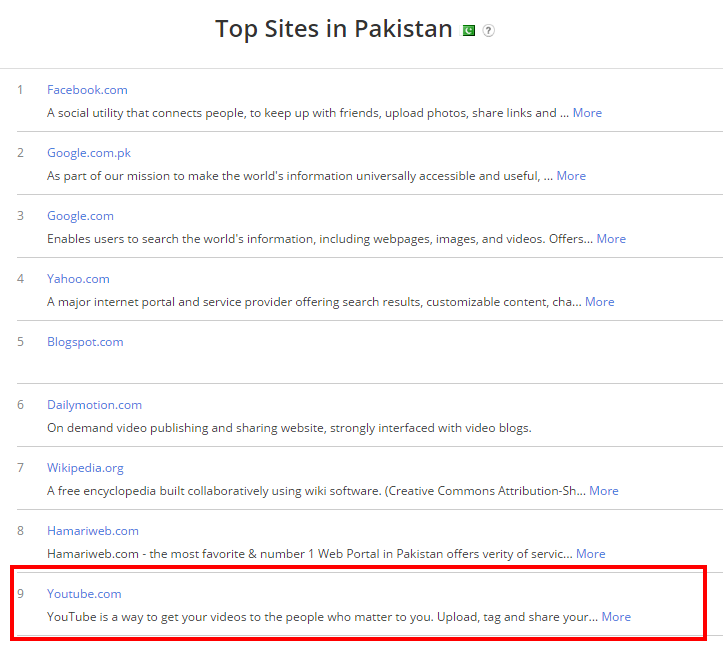 Since Last 2 Years You Tube Is Banned In Pakistan But Still Most Searched Site In Pakistan. Movie "Innocence of Muslims" Was Uploaded To You Tube. On You Tube, Because Anti Islamic Movie Is Not Deleted Yet. Is Still Most Searched And Popular Site In Pakistan About Alexa Ranking. In Pakistan And Ranked At 9 in Pakistan.